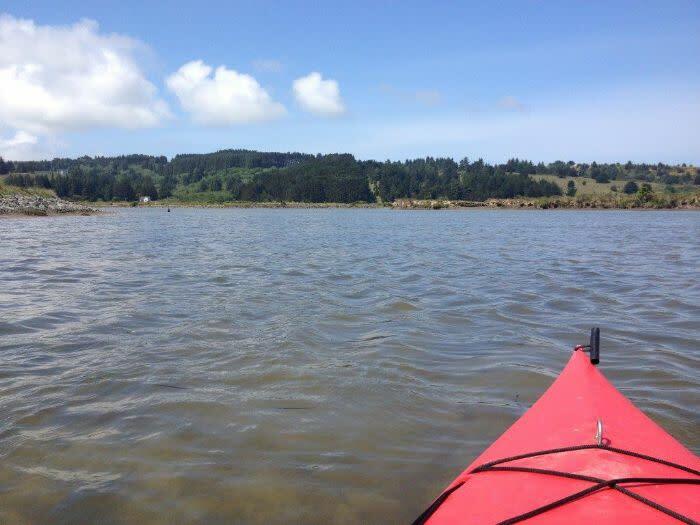 Humboldt Bay invites exploration. From the Arcata Marsh and Wildlife Sanctuary on the north end to the Humboldt Bay National Wildlife Refuge on the south, animal life abounds. 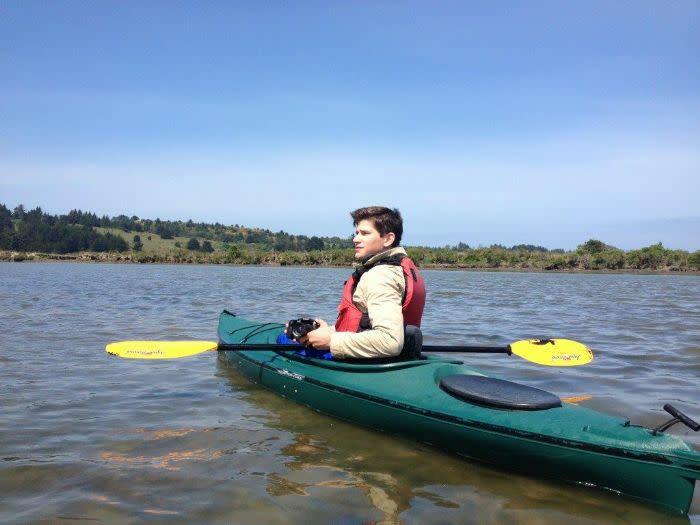 In the middle of the bay, two islands stand tall: Indian Island, the traditional center of the Wiyot people’s world, and Woodley Island, home to a marina that includes HumBoats, where kayaks and stand-up paddleboards rentals provide means to discover the bay. In the northern end, kayakers and rowers regularly glide between oyster farmers and fishermen. Down in the southern end more mystery exists – especially where a square off the bay’s southern peninsula was designated as a marine protected area in December, 2012. Once you’re stocked up and oriented, take U.S. 101 to the Hookton Road exit and aim for Loleta. Stop at the boat ramp a few miles down the road. Take a moment to savor the expansive view and reflect on how distant the troubles of civilization suddenly seem. 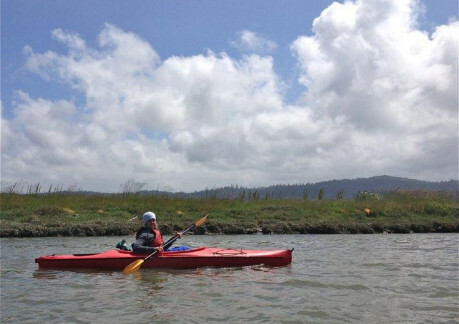 You’re in the midst of the Humboldt Bay National Wildlife Refuge, where more than 260 species of birds, 95 species of fish, 50 species of mammals, 20 species of reptiles and amphibians, and countless invertebrates take advantage of the habitats provided by the refuge and surrounding lands. Humboldt Bay is considered an internationally significant area for migratory birds, with the population most dramatically increasing during the spring and fall. The Aleutian cackling geese and Pacific Brandt thrill visitors yearly by sheer number of birds, while ospreys and eagles – including the nationally famous Mr. and Mrs. Humboldt Bay Eagles – soar and dive overhead. Onshore mammals range from the black-tailed deer to the white-footed deermouse. In the water, harbor seals and river otters pop up, and sea lions often haul out on the inner buoys or sandy shorelines. 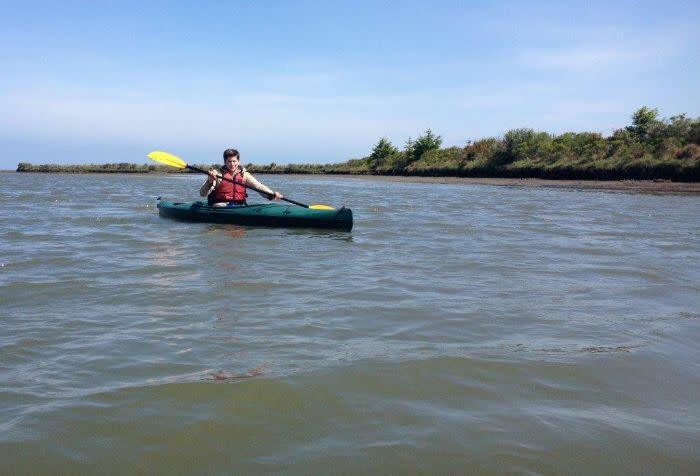 As you paddle to the Humboldt Bay marine protected area, don’t forget to look under the water as well. You might not be able to see all 95 species of fish that call the bay home, but juvenile Dungeness crabs scuttle along in the shallows and if you’re lucky and the timing’s right, you might catch sight of a bat ray or leopard shark. The new protected area helps preserve habitat for these unique creatures. Also in this area, intertidal mudflat and eelgrass beds occupy vast areas of the bay. Seemingly barren mudflats teem with life just beneath the surface. Plankton and algae anchor food webs of invertebrates, mollusks, crustaceans, fish, birds, and mammals, including humans. The intertidal flats of South Bay support approximately 2,000 acres of eelgrass, which are critically important to Pacific Brant, other waterbirds, and the bay ecosystem. With part of the South Bay now protected, scientists and others will be studying how that effects the area. Recreational enthusiasts have a chance to watch this newly designated special place flourish. And although the types of wildlife you’ll see changes with the seasons, time of day and tide, you’ll definitely get a glimpse of the diverse creatures making the Humboldt Bay marine protected area – and surrounding environs – such a special place. Jennifer Savage is the Ocean Conservancy's North Coast Program Coordinator for the Pacific Program, based in California.